It’s been about two years I am using mineral cosmetics. The first ones I have ever bought were a blush and a foundation by The Body Shop. Till that moment I didn’t have a kabuki brush and that’s why I decided to buy Nature’s Minerals Foundation and Blusher kabuki brushes. These two brushes have many thing in common and that’s why I decided to write both reviews in one article. 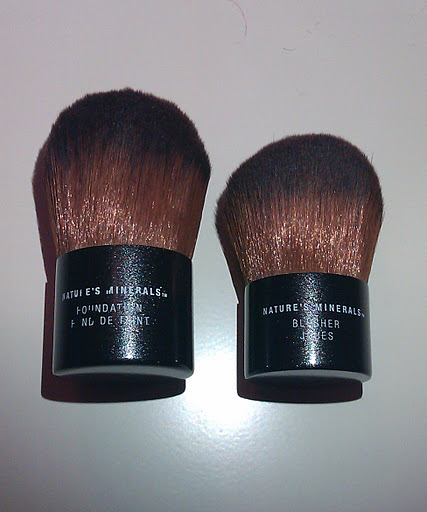 The Kabuki Foundation Brush is the classic kabuki brush. It is made of synthetic hair and has a rounded shape. It is very dense and and soft and it can be used for applying different powders, for example mineral cosmetics, powders e.t.c. It provides good coverage and fits the contours of my face. The handle is short and fits easily into the palm, but I would prefer if it was a little bit bigger. I am using it for about two years and I haven’t noticed any shedding or bleeding. It costs about €18 and you can find it at TBS stores or website. The Kabuki Blusher Brush is made just like the previous one; synthetic bristles with a rounded shape that allow circular movements across the cheeks. Its high density ensures that just the right amount of powders is held between the bristles. 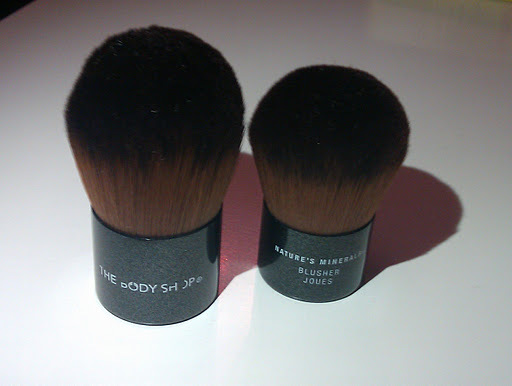 The Blusher Brush is smaller that the Foundation Brush. I haven’t noticed any bleeding or shedding till now. It costs about €16. You might think that they are a little bit pricey and that’s true. I got them with a 40% off, but after two years of using them, I have to admit that they are amazing brushes and the price is more than ok! Have you ever used these brushes? In general, what do you think about TBS brushes? 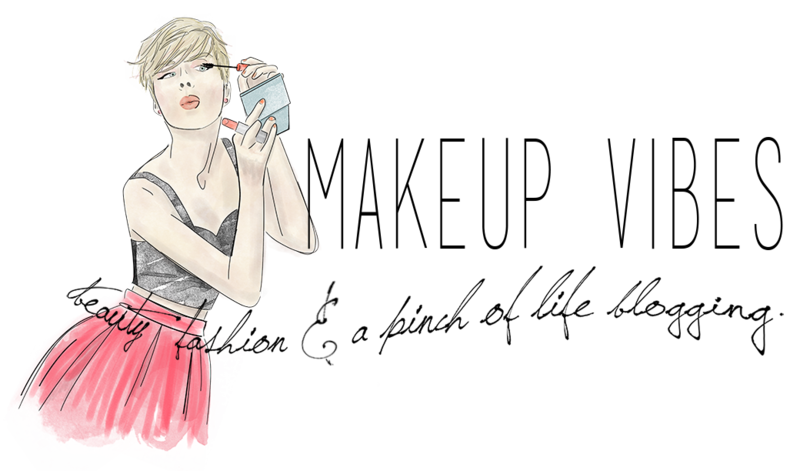 « One more Award and 7 Things about me! That's true! I have two more TBS brushes and I am satisfied! I will review them during the next days.. I have never tried none of them! I need an extra kabuki for my travel bag the prices are really good!